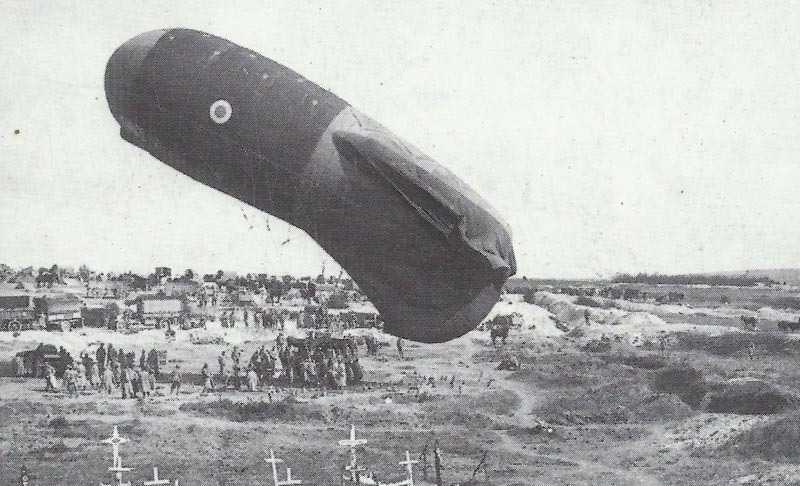 A British observation balloon is lowered on the ground at the end of a mission on the Western Front. Western Front: British kite-balloons range successfully on 10 targets. French bomb Metz. Loos: Germans recapture part of Hohenzollern Redoubt from BEF 28th Division whom Guard Divisions relieve on October 5. Western Russia: Russian Postavi­-Smogoni offensive collapses but they reopen Polotsk-Molodechno railway (Germans blew 7 bridges and damaged 66 miles of it between September 15-27). Mesopotamia – Townshend diary: ‘We are now some 380 miles from the sea and have only 2 weak divisions … line of communication should be secured before everything’. His flotilla reaches Aziziyeh, 102 river miles northwest of Kut, only 50 miles from Baghdad. Whitehall orders Nixon to stop on October 5.